This entry was posted on April 27, 2007 at 2:43 pm	and is filed under Morality, Neglected/sidelined News, New Age, News and Politics, Opinion, People, Politics, Propaganda, Prophecy, Protest, Psychiatry, Psychology, Psychotherapy, Rationalism, Religion, Scandal, Skeptics, Social and Politics, Society, Spirituality, Uncategorized, World Issues, World Religions. Tagged: Christmas Discourse, Father of Jesus Christ, G. Venkaraman, Last King of Scotland, Mr Idi Amin, Nazi, Sai Global Harmony, Tony McNulty, Uganda 1968. You can follow any responses to this entry through the RSS 2.0 feed. You can leave a response, or trackback from your own site. May I add to this excellent article the fact that the “secret reason” for the visitation to Uganda that Sathya Sai Baba made in 1968 was to tell the many thousands of Indian nationals to get out of the country! 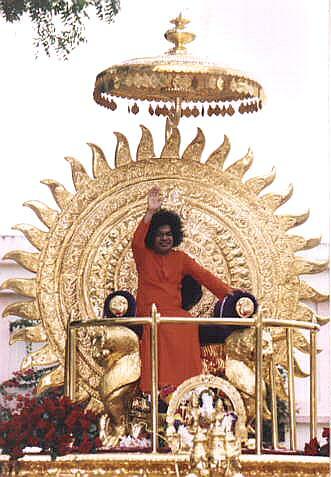 It had been widely rumored among devotees of SSB that Sai Baba’s compassion for his devotees knew no bounds, that he would go anywhere and do anything to save his devotees. To this end, we devotees believed that this display of omniscience by SSB, that Idi Amin would soon slaughter many of his own countrymen as well as tens of thousands of Indians, was a pure act of compassion for his devotees. It was unanimously agreed that Idi Amin was a monster as mentioned in the article.Are we mow to believe just the opposite from the highest leaders of this cultic organization?! 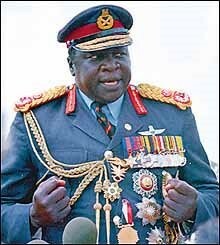 And from the mouth of SSB himself warmly reminiscing about Idi Amin?! What duplicity/hypocrisyfrom the God of all Gods! This reminds me of the duplicity of the Japanese Imperial governemnt just before their attack on Pearl Harbor. Dave Lyons, former devotee (1981-2000) and founder and former president of the Sathya Sai Baba Center of Greater New Orleans, Louisiana, USA, from 1995-2000.